Without the internal combustion engine, there wouldn’t be any cars. And if it hadn’t been for the curiosity of a young travelling salesman, we may not have had the combustion engine. Nicolaus Otto developed his four-stroke powertrain after seeing Jean Joseph Étienne Lenoir’s work on two-stroke coalgas engines. 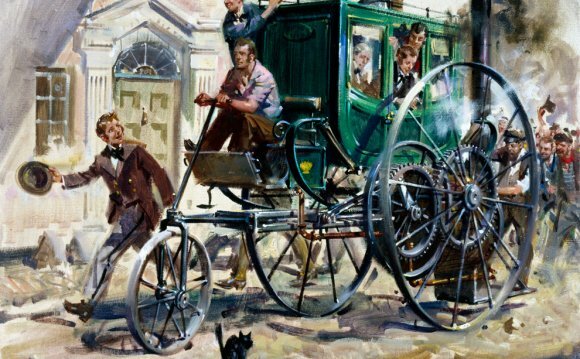 And it is Otto’s work that has powered vehicles from the very beginning of the automobile revolution. Engineers may have improved on his original design, and new developments may have changed the way the technology is used, but his fingerprint is still on the powertrains in most people’s cars. Otto’s early life was far removed from engineering. He dropped out of school when he was just 16, and worked in a grocery store and as an office clerk. Later he became a travelling salesman, selling sugar, kitchenware and tea to grocery stores on the German, Belgian and French borders. It was during this time that he met Lenoir and saw the work he had done on his coal-gas engines. This fired the young Otto’s imagination. Otto thought Lenoir’s design, although intriguing, was flawed. In the patent for his own engine in 1877, Otto wrote: “In gas motor engines as at present constructed, where it is ignited, a great portion of the useful effect is lost by absorption of heat unless special provision is made.” Otto wanted to improve on this. One reason Lenoir’s engine was so inefficient was because gas wasn’t compressed before ignition, while the intake of fuel, its combustion and the exhaust of the burned gas all had to be completed in two strokes of the piston. Lenoir’s and other engine designs, which used coal-gas, were reliant on the public gas supply network. That meant the engines could only be used in stationary machinery – they were no good for automobiles, and that was something Otto wanted to change. His time as a travelling salesman had shown him how difficult it was to move from place to place. He dreamed of a vehicle that could cut the time it took to travel between cities.